PHERI stands for Pre-Human Extraterrestrial Research Institute. Outwardly, it is an organization that discovers ancient alien technology and uses the knowledge to expand human understanding of technology and the universe. It leads the search for Deep Time Artifacts with its FACE agents and expeditions into unexplored space. That is what is publicly known. Privately, it has become one of the most powerful organizations in human history. Its advanced knowledge of lost and sometimes nearly inscrutable technology has allowed PHERI to make lucrative patent deals worth trillions of credits, and has allowed the organization to have a major hand in the development of humanity. That has translated to political as well as economic power that has made PHERI nearly a shadow government. PHERI's main base of operations are on Alexandria in the Terran Protectorate, and Gorgon-3 in the Free Colonies, but its influence has spread to all corners of known space. The organization's stated goals are the advancement of the human race. But what this often means is advancement above and beyond other alien races, to their detriment if necessary. PHERI agents don't just look for lost, old technology. They steal it from other races when possible, and keep an eye out for threats to humanity's future. If that threat is something the military cannot or will not handle, PHERI tries to handle the problem itself, with deadly force when necessary. 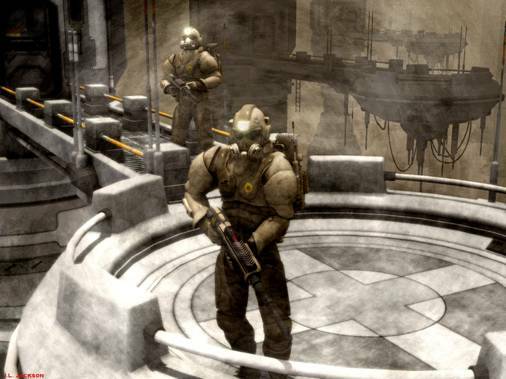 PHERI has its own private army and fleet, as well as an extensive intelligence network. This is in addition to its research and development arm. PHERI executives say that the ultimate goal for the human race should be Ascension: evolution to the point where human consciousness and mortal frailties can be left behind for another state of existence. This is rumored to have happened to some ancient and powerful races. But many point out that before a species reaches that point, it has likely accumulated so much power and knowledge that it could dominate all known life in the galaxy. PHERI is primarily controlled by the Order of Voltaire, but members from the Scions of Tellus Mater and Clan Hannu have significant influence as well. Many aliens see PHERI as a human supremacist organization that has been implicated in terrorist activity. Experts familiar with PHERI, but who are not members, claim there is a splinter group inside PHERI known as UNSEELIE, which conducts many of the group's more "questionable" operations, often without the knowledge of the rest of the organization. PHERI is run by a board of directors headed by two leading members from each division and one chairman, elected by the other eight board members. Some suspect that there is more than one board member who is also a member of UNSEELIE. Base of Operations: Seelie Station, the moon of Alexandria, Primus Sector, Terran Protectorate. Sphere of Influence: All of known space, with the exceptions of the Imperial Freehold and Vorhasi Space. Membership: Human only, though some aliens work for PHERI without knowing it as informants. Activities: Technological acquisition and research, human threat assessment and neutralization. Goals: Human technological and evolutionary advancement. Resources: Extensive. More than most mega-corporations and some say enough to rival a small interstellar government. It employs several million humans on numerous worlds, officially. Its unofficial membership and ranks of freelance operatives are unknown and likely numerous. Office of Technological Acquisition (OTA): The most well-known PHERI division, OTA coordinates the efforts of FACE agents working directly with the organization and oversees the purchase and acquisition of artifacts and knowledge found by freelancers. Most FACE agents know that their best deal is likely to come from PHERI and offer the organization first dibs on any newly discovered devices. However, OTA has been accused of "acquiring" technology through less than legal means as well. Explorer Corps: This is the division that oversees exploration and discovery of new worlds and resources. Its Hannu-led scout ships lead the way in exploration of new star systems and worlds, and it has the political clout to exert significant influence on the development of new human colonies. 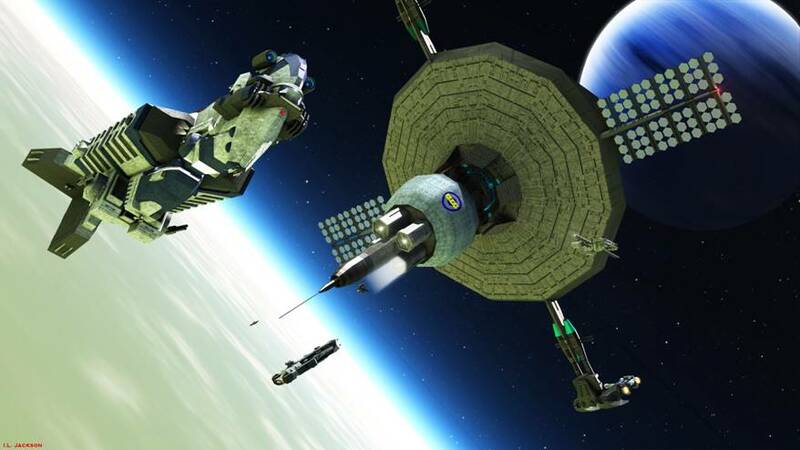 It has a considerable fleet at its command and many of those ships are nearly as armed as a battle cruiser, which PHERI contends are necessary for exploration of unknown worlds with potentially hostile alien species. Applied Research Center (ARC): When PHERI acquires new and strange technology. it eventually makes its way to an ARC facility, built on numerous worlds...often in secret locations. ARC tests and unravels the mysteries of such devices, and then figures out how they can be of the most use to humanity. ARC's most famous achievements are the advancement of negative mass drives and anti-matter production. It also dabbles in genetics researcher, cybernetic technology and a multitude of other transhuman projects, some of which are best left unknown to the public. ARC has been accused of taking dangerous risks at times with alien devices and technology it does not fully understand. Risk Assessment Division (RAD): RAD may be the most dangerous division in PHERI. It is in charge of the organization's intelligence resources, which analyze external and internal threats. If an alien species is developing a new technology that could threaten humanity, RAD will likely know about it. If an ARC project gets out of control, RAD goes in and cleans up the mess. RAD agents include empaths, close combat specialists, hired guns, former GISS operatives, ex-spies and mercenaries, and allegedly even a few professional assassins and bounty hunters are on the payroll. However, RAD also excels in covering its tracks. Most people have never heard of RAD, and even fewer have ever been aware of a RAD operation. Often referred to as "the maintenance department," it is extremely skilled at cleaning up any mess other PHERI agents leave behind.